Every dog sniffs when they’re out and about. 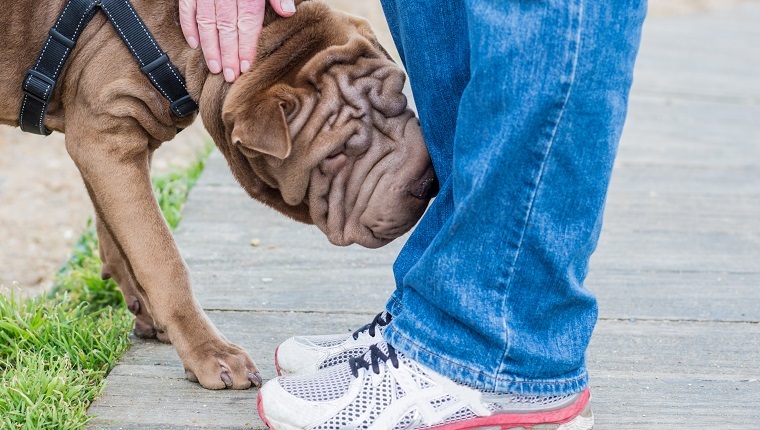 Whether your pooch is trying to sniff out their territorial scent during potty walks or just exploring a new area, your dog is likely to keep their nose active and alert for the whole walk. An estimated 33 percent of your dog’s walk is dedicated to sniffing time alone, and that’s a lot. But this is actually a good habit that you shouldn’t worry about–or stop, either. A new study shows that dogs who are allowed to sniff and practice nose work are actually more optimistic. The next time your pooch puts their nose instinctively on the ground and seems to sniff away everything in sight, remember that they’re exploring, expanding their sense of smell, and seeing the world in a more positive light. The new study found that letting dogs use their noses is a good way to improve their positive outlooks. In the experiment, researchers placed an “ambiguous” bowl in front of two groups of dogs and recorded their reactions. Then, one group of dogs received nose work training, while the other did not. Researchers then placed both groups in front of an ambiguous bowl again to see what difference the training made. Dogs in the group trained for nose work interacted with the bowl more and showed higher optimism that it might contain something of interest. Their optimism about the ambiguous bowl improved more so than the group that didn’t get training. They were more willing to investigate the bowl than those who did not practice nose work. This study could change quite a lot about how we perceive taking our dogs out for walks and how much time we allow them to stop and sniff. It’s common to see owners pulling their dogs forward whenever they get too engrossed sniffing the ground. Owners might fear that their dogs may smell or ingest something dangerous when outdoors and overcompensate by not allowing them to sniff at all. Dogs are known for their sharp sense of smell. Just like other senses and parts of the body, this sense needs regular exercise, or else dogs could face complications later on. This is especially true for dogs who are kept indoors most of the time. The scents they get to encounter are much more limited, and the physical activity they get from only sniffing around the house is also limited. They don’t get as much variety or stimulation. Based on this study, there may be more than meets the eye–or the nose–when dogs sniff, and it’s something that pet owners may need to keep in mind for the benefit of their pooches. Each dog has a receptor organ in their nasal cavity called the Jacobson’s Organ. This organ responds to a wide range of substances that trigger the olfactory tissue beyond normal scents. Some claims point to the Jacobson’s Organ as a trigger point for basic emotions in dogs. This organ is supposedly linked to detecting pheromones for breeding, as well as other scents that would typically be undetectable to humans. One way dogs put this organ to even more use is by licking the air–an act that supposedly heightens the experience of dogs “smelling” beyond the normal olfactory experience by bringing in more input from the environment. Smell triggers more than just the actual perception of scent–even in humans! It also strongly connects to memories, and for dogs, this can deepen their sensory experience. 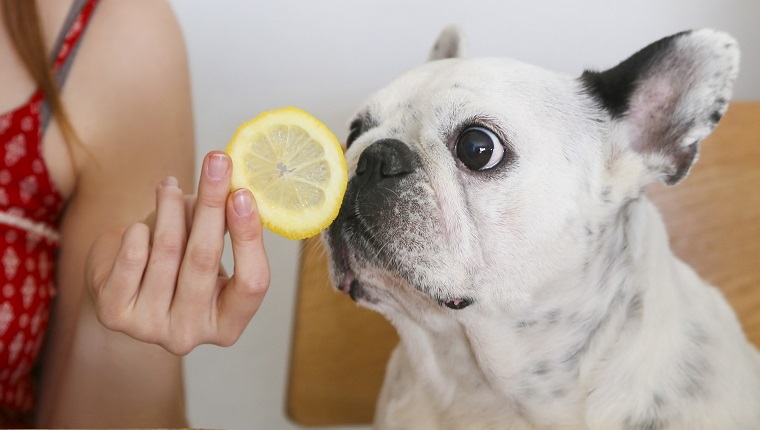 Dogs may have their own “blast from the past” when it comes to using their sniffers. Just as we are triggered by comforting memories when we smell freshly-baked pie or rain-dampened grass, the same experience is hypothesized in dogs. So the next time your pet is busy sniffing the ground, it may be best to let them linger in the moment for a while. You never know what they may be feeling at that moment, but their nose will surely thank you for it. What do you think of this new finding? Do you think your dog is enhancing their autonomy and positivity when they sniff? Let us know your thoughts below!